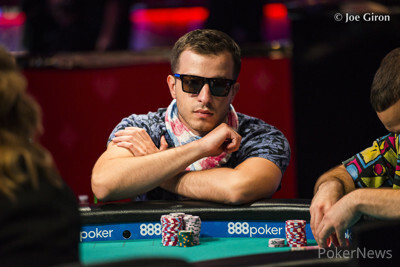 Artem Metalidi has become the second player from the Ukraine to reach the final table of the World Series of Poker Main Event, following in the footsteps of Anton Makiievskyi, who finished in eighth in 2011 for $1,010,015. Metalidi started playing poker around 2011 when he found a poker strategy forum where they gave away $50 for players to get started. He used that to spin it up playing cash and tournaments. Now, he already has more than $2.1 million in career earnings, not including the $1 million he has locked up in the Main Event. What is even more remarkable about the deep run of Metalidi, is the fact that he started Day 3 with just 11 big blinds (66,000) and cruised from there all the way to the final table. With plenty of deep runs in other events, Metalidi was well-prepared for the things to come. However, his WSOP final table run in Las Vegas still stands out on his poker resume. Metalidi, who was a part of Team Ukraine in the 2015 Global Poker Masters, started Day 7 second in chips but it wasn't exactly a smooth run to the final nine as he suffered early setbacks and even dropped to the bottom of the counts when eighteen players remained. Before his deep run, Metalidi had $2,131,437 in live tournament earnings, which put him seventh on Ukraine’s all-time money list. With a win, he would surpass Eugene Katchalov atop his country’s all-time money list. With $1 million locked up, Metalidi has nearly tripled his best prior cash of $350,806 for finishing second in the 2012 WSOP Event #23: $3,000 NLHE 6-Handed. One hand that helped get Metalidi to the final table, was knocking out Omaha’s Ryan Phan in 11th place. It happened when Metalidi limped with jacks from the hijack and Phan moved all in for his last twelve bigs on the button. Both blinds folded and Metalidi called. The jacks held and Metalidi chipped up to 21.4 million, which was enough to get him in the top nine. On Day 6, Metalidi chipped up when got kings against ace-king, which put him on the right track. “After that, I was unstoppable. Everything was going my way," he said. “I played a lot of tournaments to prepare for the Main. I wanted to test some strategies and test some things I was not confident in, so I tried to grind a lot. That was my preparation." Metalidi enters the final table as the second shortest stack with 26 big blinds. The good news is that it’s twice as much as the short-stacked Antoine Labat, on whom he has position. 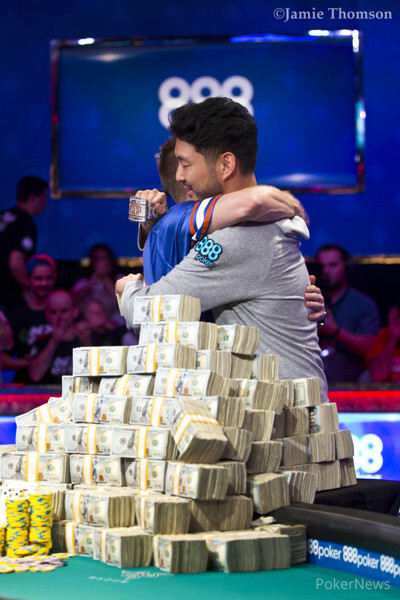 His stack could also do some damage to the two players on his immediate left – John Cynn and Alex Lynskey.